Blue Whale Spas began in 2011, when the company launched with one simple aim, to help remove the stresses of modern life and provide rest and relaxation for clients. The company has gone from strength to strength over the last six years. This summer they moved to their new huge 26,000 sq. ft. showroom and ofﬁce in Nottingham. recently introduced their ﬁrst US-made hot tubs under the name All American Spa. Backed by a logistics team with over 30 vehicles for delivery and installation and ten maintenance teams, constantly on the road for repair all over the UK, Blue Whale Spa provides maintenance, repair service and advice for every hot tub, not only for their brands. Blue Whale Spas has become one of the UK’s leading supplier and manufacturers of hot tubs, being the only UK company who manages the entire process from design and production to sales, delivery, installation and after sales, with thousands of satisﬁed customers. They are proud to have been supplying commercial and residential markets across the UK, with their uniquely designed energy efficient hot tub needs for over six years. “We’ve had an amazing journey coming to where we are at today,” mentions Nick, Commercial Manager at Blue Whale Spa. “The design and manufacture of our hot tubs have been to the highest standards since the beginning in terms of quality and efficiency. “We have just been nominated as a finalist at the eCommerce Awards for Excellence 2017,” adds Nick. 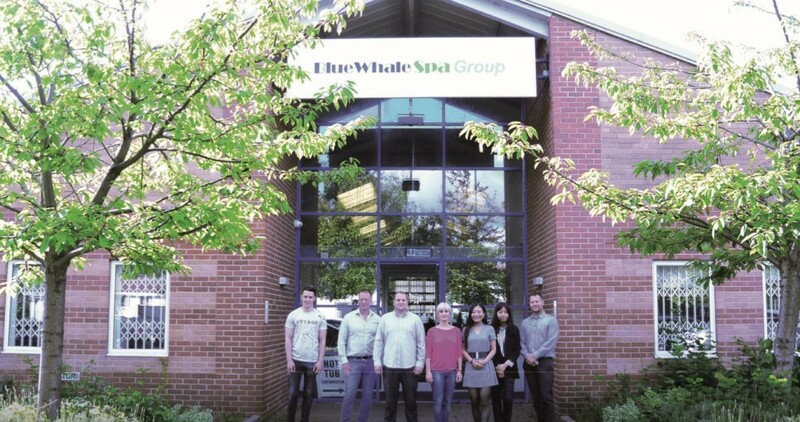 “We are delighted to have been recognised for industry leading services,” says Jay, CEO at Blue Whale Spa. The company first specialised in producing and selling competitively priced high quality hot tubs nationwide. From this position, they were early to recognise the opportunity to merge old and new technologies and they developed a breakthrough in hot tub technology as they aimed to strike a balance between oriental massage and modern hydrotherapy. The company pride themselves on production of high quality hot tubs designed for the UK market. Their comprehensive product range, which continues to grow through research and development initiatives, includes different shapes and sizes of hot tubs, swim spas and accessories. The ergonomically designed Blue Whale Spa hot tubs have only one mission, to provide the experience of exquisite relaxation. One of the most successful hot tubs is in the premium category, Blue Whale’s flagship Imperial hot tub, standing out from average massage spas thanks to its equipment. The luxurious 32-amp hot tub has five stunning seats, including two comfortable loungers. It has 72 stainless steel hydrotherapy jets arranged differently in each seat for various massage effects. Adjustable jets allowing all the seats to be tailored to the customers individual needs. Nick said: “In developing the Imperial hot tub we have tried to meet the most uncompromising demands in terms of design, comfort and of course quality.” With a few years’ experience and in-depth customer and market research their expertise has grown in design, manufacture, installation, after sales service and maintenance. Blue Whale Spa are currently committed to developing their in-house expertise to address their customers changing needs. “Our sales and customer service team always make sure the selected hot tub the customers intend to purchase would satisfy their needs. For example, if a family wants to buy one of our two-person hot tubs, we would advise them to consider a bigger one. “Or we make sure that a tall person chooses the right size hot tub, so he’ll be able to enjoy its benefits. Even if this mean we’d lose business, we do. We have an honest conversation of the running costs too,” adds Jay.